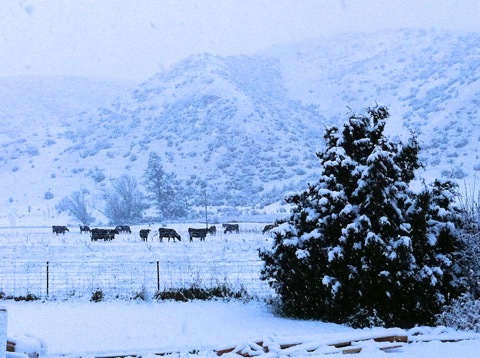 A polar blast has New Zealand within its grips, with record snow falls throughout the country. Kurow has been remarkably shielded from environmental extremes this winter but could not escape the force of the current cold snap. Rural general practice is particularly susceptible to the problems of such severe weather. My practice at Kurow extends over a huge and remote area, including the Lindis Pass which is over two hours drive from Kurow. With roads blocked by snow and treacherous in the ice, getting to patients in their hour of need can be a tremendous challenge. 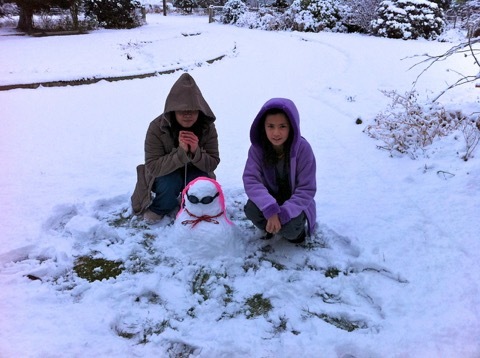 Ooy and Rebecca made the most of the snow, creating a very chic snowman in our front garden! Coming from a hot country like Thailand, Ooy is always thrilled to see the snow.